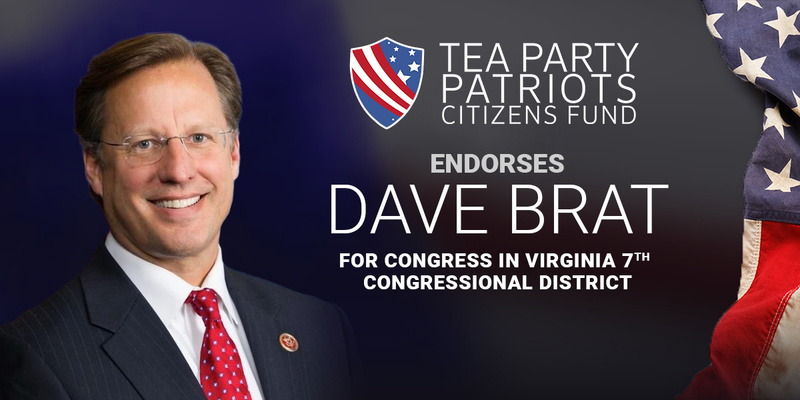 “For conservatives in Virginia’s 7th congressional district, the choice is clear – Dave Brat for Congress. “Since coming to Congress after the 2014 election, Dave Brat has kept his promises. He has fought to shrink the size and scope of government, and expand the zone of individual liberty. He has voted against budget-busting spending bills, and voted to reduce taxes, the better to create the kind of economic growth necessary to create more and better and better-paying jobs. And he supports a Balanced Budget Amendment to the Constitution. “Dave has fought to truly repeal ObamaCare. He has fought to uphold the rule of law, and has opposed amnesty. He wants to secure the border and reform our current immigration laws to allow law-abiding individuals to work towards citizenship. “Dave is also a strong supporter of term limits for Members of Congress, and a strong supporter of the Second Amendment. And he opposes Common Core.